A t-shirt that helped find a missing person. 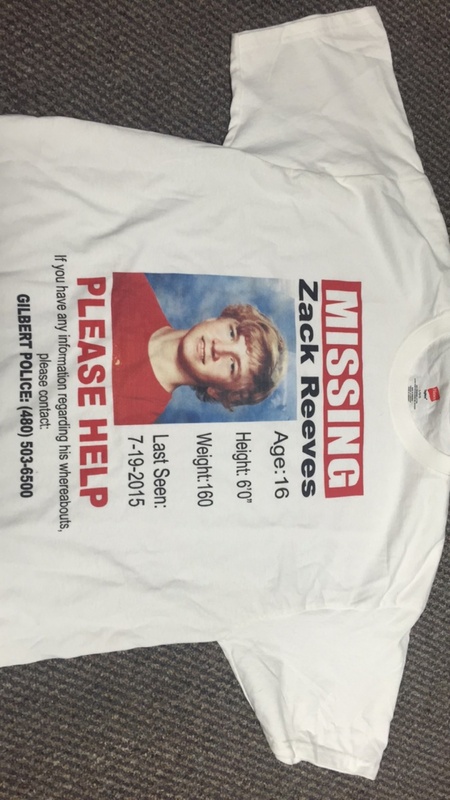 Missing Teenager Zack Reeves from Gilbert, AZ. As a parent and owner of a local t shirt business what could I do to get the word out? Full Color Direct to Garment T-Shirts with his photo were donated from my business Precision Graphics to help raise awareness on information of his whereabouts. This Tempe T Shirt business is about supporting its community and doing what we can to help fellow Arizonans in need.